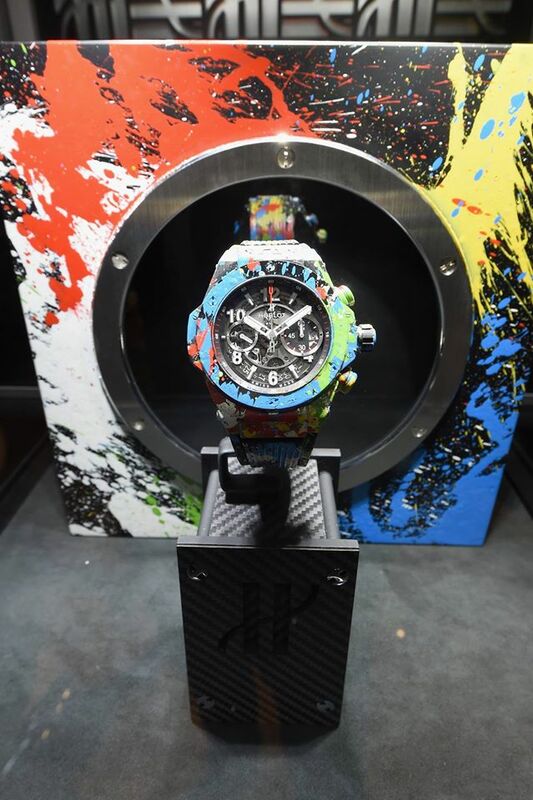 Geneva Seal's very own iconic watch giant celebrated legendary street artist Mr. Brainwash at an exclusive event during Art Basel in Miami. 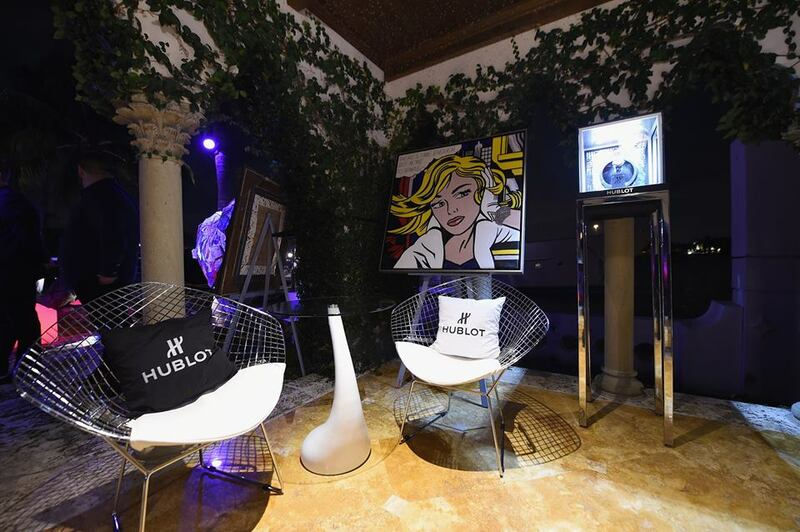 Hublot and Thierry Guetta's (Mr. Brainwash) hot collaboration took place at Hublot's Bal Harbour boutique by day, with a Brainwash takeover alongside brands like Haute Living and Dom Perignon by night. 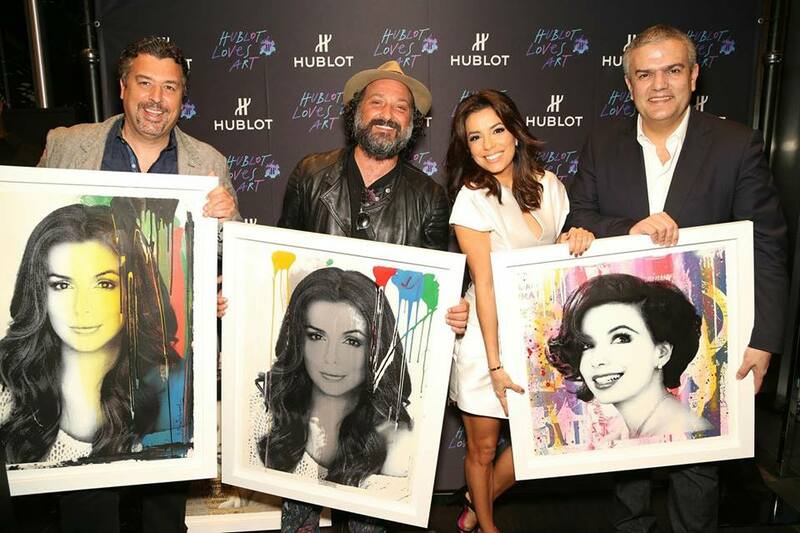 The intimate evening affair was hosted by actress Eva Longoria, Market America scions Loren and JR Ridinger, Haute Living CEO colorful pop art.